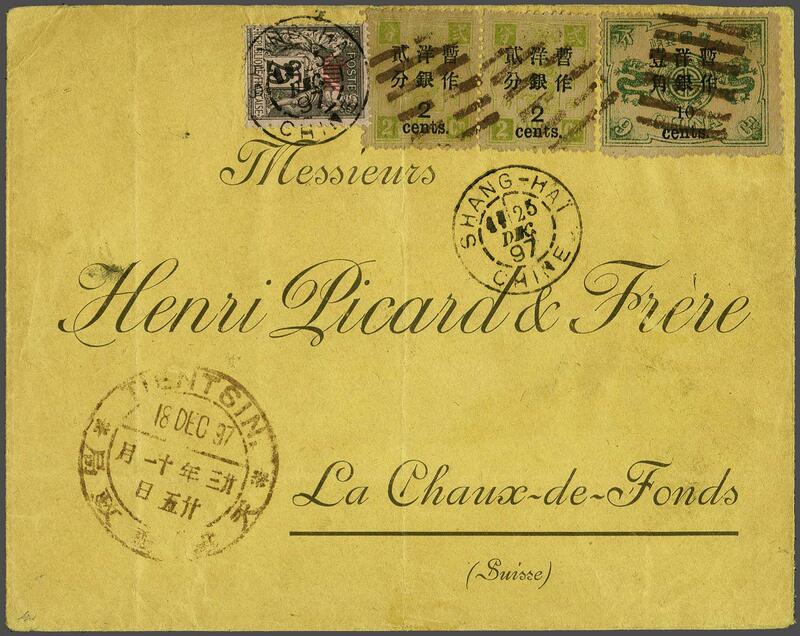 1897: Cover from Tientsin to La Chaux-de-Fonds, Switzerland franked by January 1897 Small Figures 10 c. on 9 ca. dull green and Large Figures 2 c. on 2 ca. dull yellow-green (2½ mm. 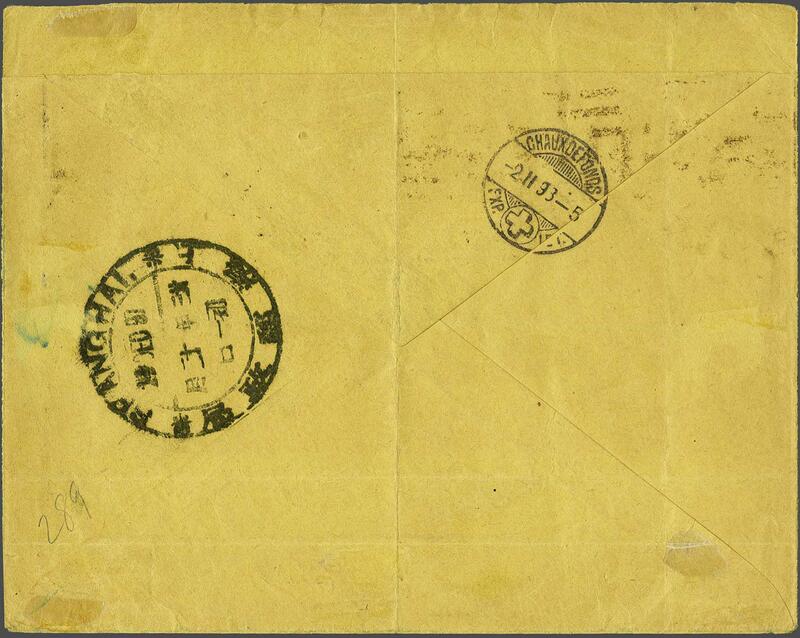 spacing) in a horizontal pair, one with central file fold, tied on despatch by 'Pa-kua' handstamps in brown with corresponding TIENTSIN Dollar chop at lower left (Dec 18). France 'Chine' 25 c. black on lilac applied for onward transmission and tied by 'Shanghai / Chine' cds (Christmas Day). Reverse with SHANGHAI Dollar chop in black and Chaux De Fonds arrival cds (Feb 2). Cover sensibly opened for display, a fresh and fine cover.